It’s amazing what you’ll spot on the motorway networks around the bustling west Midlands; as local company Jaguar Land Rover continues to invest in new product, it can be a ripe hunting ground for wannabe Hans G Lehmanns. 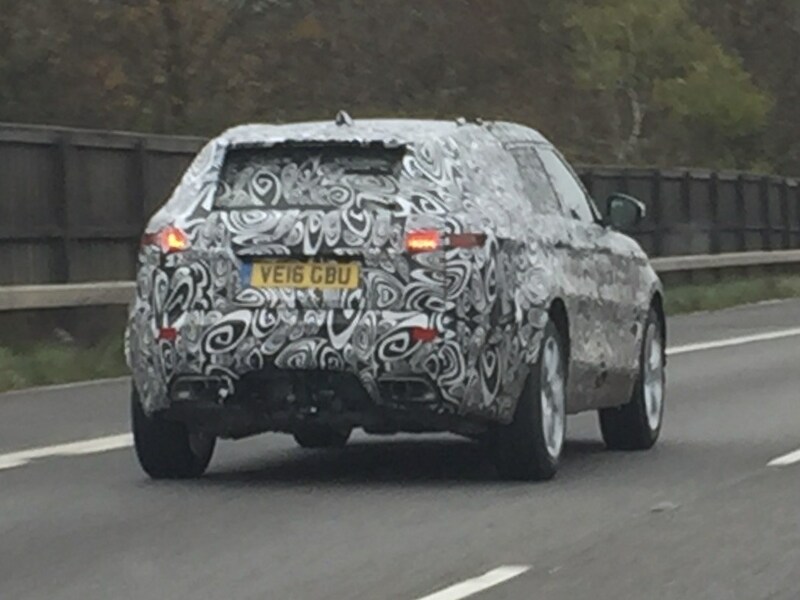 One Carmagazine.co.uk regular has proved the point by catching this Range Rover prototype they’ve nicknamed 'Velar' on the M40. Velar? What on earth is that! That’s the internal, informal codename for the upcoming Range Rover Sport Coupe, a kind of more slammed, more sporting Sport aimed to gobbling sales from the likes of the BMW X6 and Mercedes-Benz GLE Coupe. It references the codename for the original Spen King-era 'Velar' three-door Range Rover. We expect it to be launched later in 2017/early 2018 and it’ll be built upon the aluminium underpinnings of the Jaguar F-Pace range. Which explains why this car is registered as a 3.0-litre diesel (it's unknown whether it's the old V6 or new inline unit). The picture above is CAR's earlier scoop of the Range Coupe. What does the Range Rover Sport Coupe look like in the metal? Over to Frank. ‘I’m personally not a fan of the BMW X6, but can see the appeal of something that isn't quite the full-fat Range Rover Sport, but offers a more dynamic flavour.